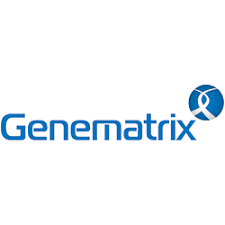 Genematrix said Tuesday it has received sales approval from the Ministry of Food and Drug Safety for NeoPlex RB-8, a device that simultaneously diagnoses eight major pathogens such as pneumonia, legionella, and pertussis with a single test. The device approved by the ministry features improved accuracy and multi-diagnosis ability by applying the 'C-Tag' technology, a next-generation source technology based on Genematrix's patented real-time gene amplification. In particular, the device can detect Moraxella catarrhalis, which is known to cause pneumonia in patients with chronic obstructive pulmonary disease with a high prevalence in adults over 40 years old, and para-pertussis, which is difficult to distinguish from pertussis bacteria due to clinical symptoms. Regarding respiratory infections, prescription and treatment differ depending on the type of virus or bacteria of the patient. In particular, pneumonia was the fourth most common cause of death in Korea in 2018, and it can lead to severe complications in children and adult patients with weak immunity. “With the approval of the NeoPlex RB-8, we will expand our respiratory disease product lineup and strengthen our sales force in the molecular diagnostic market,” a company official said.